We made a trip over to the Blue Ridge Mountains to visit Shenandoah National Park. We hadn't been in years. When we go to the mountains (which is only 40 minutes away), we tend to take the southern route (the Blue Ridge Parkway) instead of Skyline Drive in the National Park. 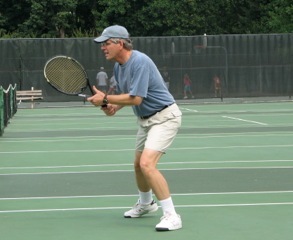 There's several places we love on the Parkway within a short distance from I-64 and it's free. One of those places is the Frontier Homestead (milepost 5.8) which truly takes you back to the hard life of families living in those mountains. They have music at times and you can go inside the cabin and also see many of the outbuildings. They have even plowed a field to plant food staples. Then at milepost 9, there is Greenstone Overlook and Trail. Awesome views from the parking area, but the real treat is hiking a short roundabout trail that is filled with native plants and beautiful glimpses between the trees of the Shenandoah Valley below. Next is Ravens Roost where I have many memories of friends that visit since it's an absolute must to take them on this incredible journey so nearby. Ravens Roost offers incredible views of the Shenandoah Valley and many rocks to enjoy, along with a picnic table. There's a lot of repelling done there so at times we get to see folks jump off the rock edges backwards. It always flips my heart a bit. But I began talking about our visit to the Shenandoah Park. 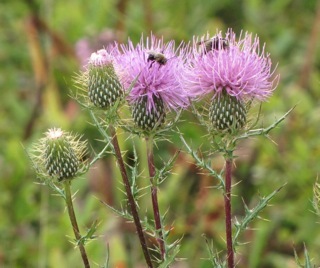 We visited the Big Meadows and the Byrd Visitor Center for a Ranger Walk through the meadow, a presentation on bears, and several films in the Visitor Center (milepost 51). Then we had a picnic by the car. Of course Skyline Drive with overlooks was beautiful on the way to Big Meadows. 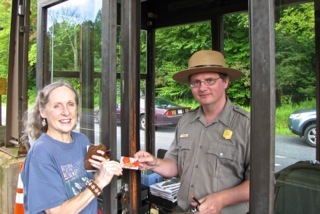 At age 62, you can purchase a National Parks Senior Pass for $10. The pass is your ticket to more than 2,000 federal recreation sites. Each pass covers entrance fees and standard amenity fees for a driver and all passengers in a personal vehicle at per vehicle fee areas (or up to four adults at sites that charge per person). It can be used at national parks, national wildlife refuges, national forests and grasslands, and at lands managed by the Bureau of Land Management and Bureau of Reclamation. Pretty cool! Alert Facebook Fans! If you're reading this on Facebook, it will be the last post you will see since I have finally taken the plunge and totally dumped my Facebook account. It has been deactivated until tomorrow since they won't delete it immediately, hoping you will change your mind. On the 16th it should all be gone! So, if you want to continue to see The Nature In Us posts, you will need to sign up for another method (email, RSS feed, or Twitter). You can do that with the links included in this newsletter or go to the website and choose an option from the left side of the page. Although I haven't used my personal Facebook page for years, the posts were automatically feeding into Facebook so I didn't need to go there. However, every time Facebook has an upgrade you have to dig all over the place to be sure they didn't revert back to non-security settings. It seemed no matter how small a task I had it would take me an hour to get back off of it since I couldn't seem to find what I needed to change ... or I would change it and save it and it didn't keep it. Life is too short for Facebook! Maybe it's getting older and appreciating the reality of how few days we have on earth, and making choices that really stick to what you consider priorities and true desires for your life. We volunteered at the local shelter and on the way there we passed a turtle near the edge of the country road. I hoped it was going in the direction of the grass which was less than a foot away, but it stayed on my mind the whole time we were at the shelter. When we passed by again to return home, 90 minutes later, it was at the same spot. So we stopped, picked it up and put it in the trunk to release in our habitat. I thought it might have been stunned or something. It was a miracle it hadn't been hit in that amount of time. I didn't want to leave it there any longer and miss sleep over it. Relocating turtles is not a good habit but I truly felt this one was in danger and wanted to monitor it. 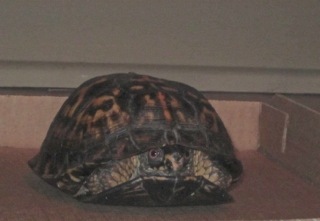 Since it was a young Box Turtle it would have time to adjust at our place before hibernating for winter. 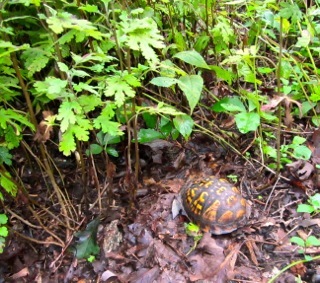 We have one other Box Turtle here (that we know of) which we've not seen this year. We watched this one for a few hours in the house and he never moved. I placed him in the front garden area with plenty of leaves and bugs to eat and enough cover to hide. The next morning he was gone. We have plenty of good habitat for turtles so I hope he's happy. 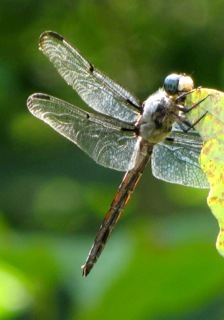 We've had busier years for dragonflies, but we've been seeing some around the pond. Since the pond is only about 12 feet from the deck they also enjoy sitting on the white rails. Maybe it's a great way to be noticed in the dragonfly world. Like the butterflies they have a Dragonfly Dance to perform when they mate and such things are so lovely to watch. 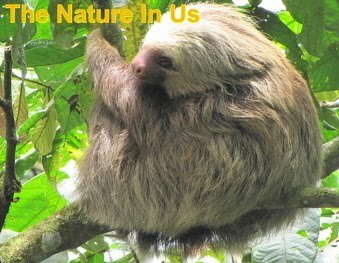 Realizing that these creatures have such a short lifespan makes it so critical that they mate before dying. The shortest life cycle of a dragonfly from egg to the death of the adult is about six months. There are dragonflies that live for several years as aquatic larvae before they emerge and live for a few months as adults. Most dragonflies don't die of old age but are caught by predators. Even if they do survive, they still don't live much longer than a few months. "Man hasn’t created anything new; he’s just discovered the laws that the Lord established from the beginning. Although mankind has made huge discoveries that have totally changed the way we live, it seems like we know less about ourselves than previous generations. While our ancestors didn’t have all the modern conveniences, they had a peace and strength that eludes most today. A highlight of last month was being asked to review a DVD on birds. It was the most awesome bird video I've ever watched ... especially since it's based on the basis of "intelligent design" rather than evolution. I love it when science begins to catch up with God. Did you see the post (The Intelligent Design of Birds) in my last issue of the newsletter? May God give you an understanding of His love for you every moment of the day.